Episode 66: A Threat to Ethical Standards? 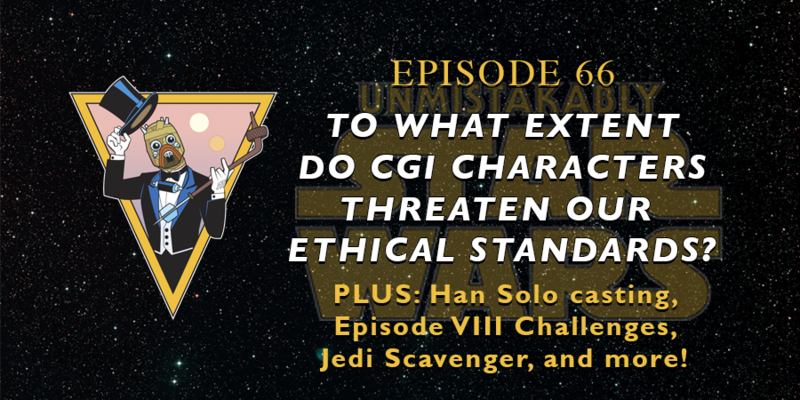 In this episode, Devin, Beks and Donell discuss recent Han Solo casting decisions, Rian Johnson's promise of conflict for Luke and Rey in Episode VIII, and tackle the issue of ethics when using CGI-created characters. Also: Jedi Scavenger takes a look at fan-initiated collecting clubs and their benefits.